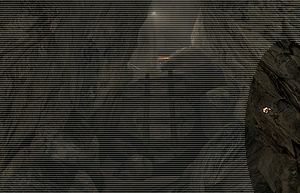 Now on to the cave near the rotating scarab-room. You have to position the room so that the entrance to the room is at the end of the cave. Then you'll be able to see Kinslee, Kerryn and Kara (top to bottom)(source: The Riven Guild ).